With 30 years of experience, Mary Gill is the senior woman in the Securities Litigation Group. She has been lead counsel in securities litigation, financial services litigation and complex transaction-related litigation across the country. Mary is highly experienced in representing companies and financial institutions and their officers and directors in investigations and enforcement actions by the Securities and Exchange Commission, the Office of the Comptroller of the Currency, the Federal Deposit Insurance Corporation and other regulatory agencies. Mary was also a member of the executive committee that led the Enron investigation on behalf of the Bankruptcy Examiner. Ms. Gill is the chair of Alston & Bird’s Women’s Initiative and is a member of the Steering Committee of the Diversity Committee. She also serves as the advisor for the firm’s Alternative Career Path Policy. She is a frequent speaker on diversity and issues relating to the retention of women in the law profession. Mary has been named as the 2013 “Lawyer of the Year” in Atlanta for Regulatory Enforcement and 2013 “Top Rated Lawyer in Commercial Litigation” by Best Lawyers in America. 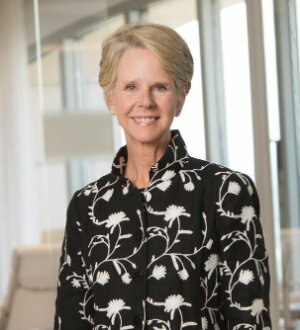 She has consistently been selected as one of the “Top 50 Women” lawyers in Georgia in the Georgia Super Lawyers magazine.